As you can tell by my lack of blog posts lately, I have become preoccupied with photography. I should be working on my third book or writing here more often, but it seems to have taken a back seat to what has become my passion: pretending to be a photographer. 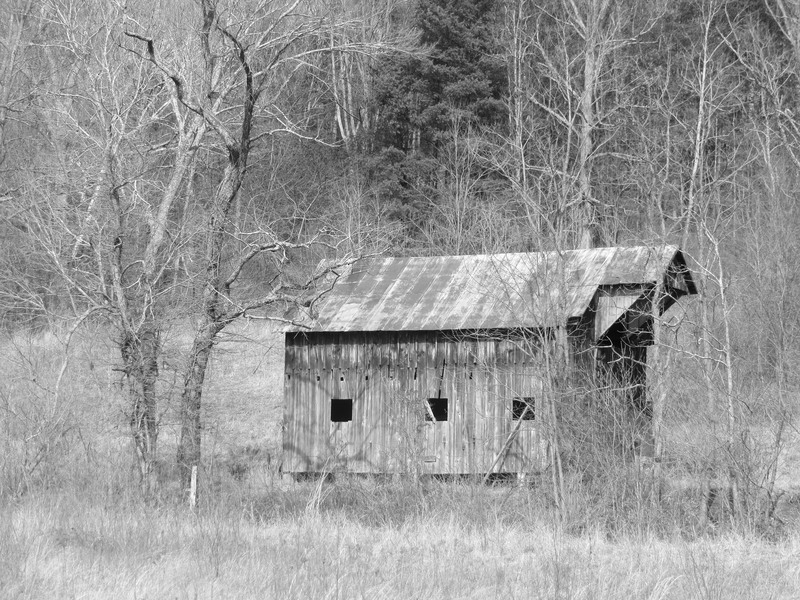 My father was a photographer when he wasn’t working as owner and broker of his real estate company. He used a press camera which I wish to God I had in my possession. 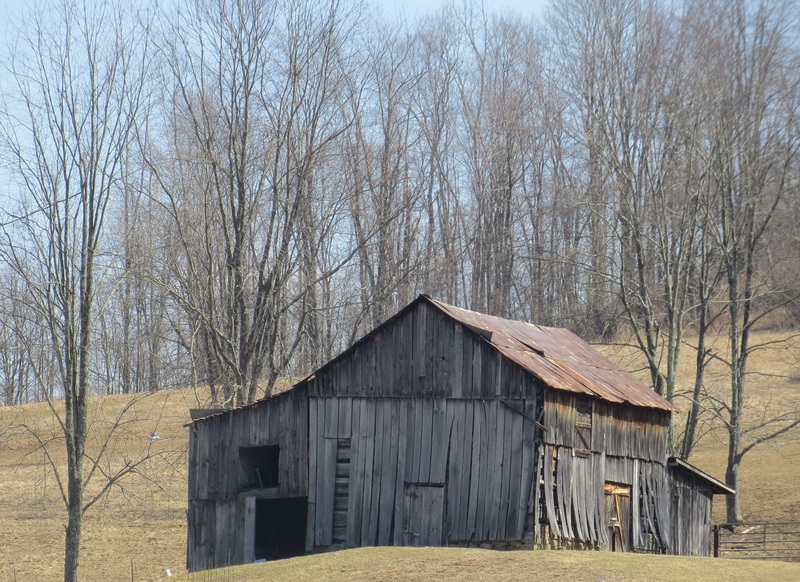 He loved taking pictures and vacationing through West Virginia meant getting out of the station wagon at each hairpin turn so he could get a photo of the “beautiful view.” There were at least 150 “beautiful views” per vacation. I didn’t mind because I was little and a ham for the camera. He has since passed, but I honestly feel him beside me when I frame a shot. I love photography more than writing. Don’t get me wrong, I enjoy receiving a royalty check each month from Amazon for my 2 ebooks. It’s not much, but it still pays a bill or two, so that is nice. But, I’ve decided to concentrate on writing after I retire in a few years. My summer writing time has been replaced by day tripping and photography. When you focus your camera, it is interesting to find out what your interests are. 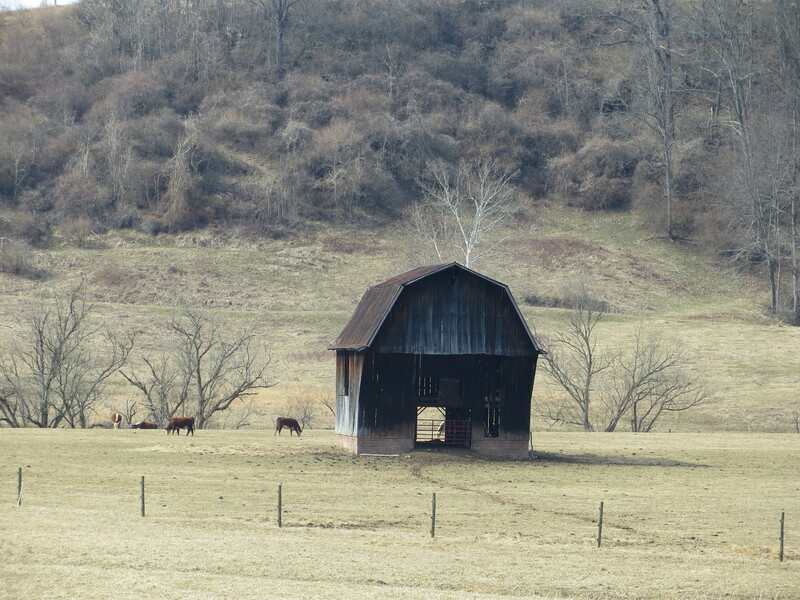 I had no idea when I started taking pictures that my eye would find old barns appealing. Old stuff. Maybe that’s why I like to haunt antique shops. 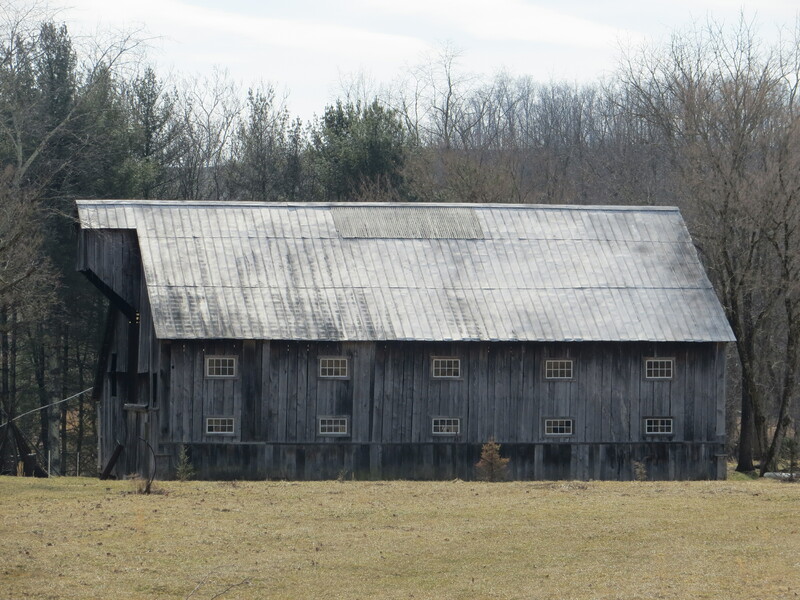 But, I credit my love of old barns to my grandfather. 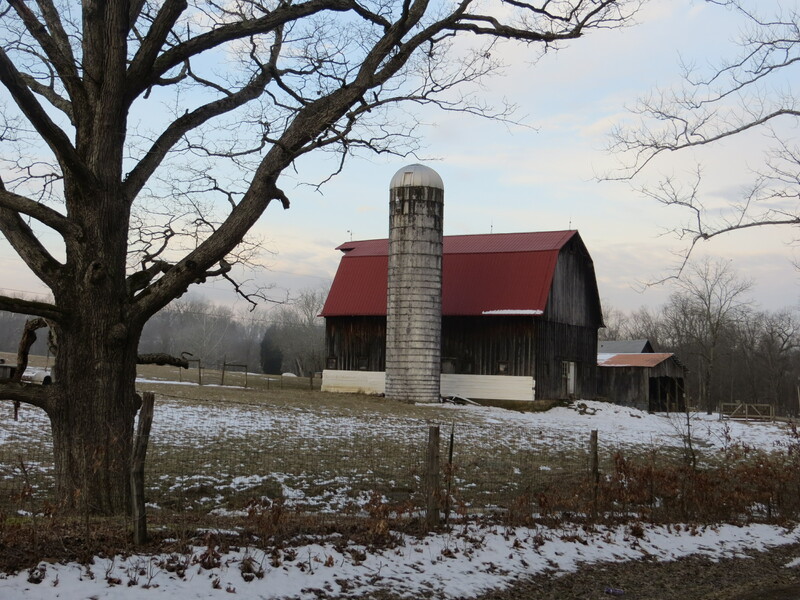 He didn’t actually live on a farm, but purchased one to house his prized palomino horses. He named it Cherry Farm and I loved going there. I believe he rented the house to a family who took care of the horses. There was an old barn full of pigs. And I was sold. 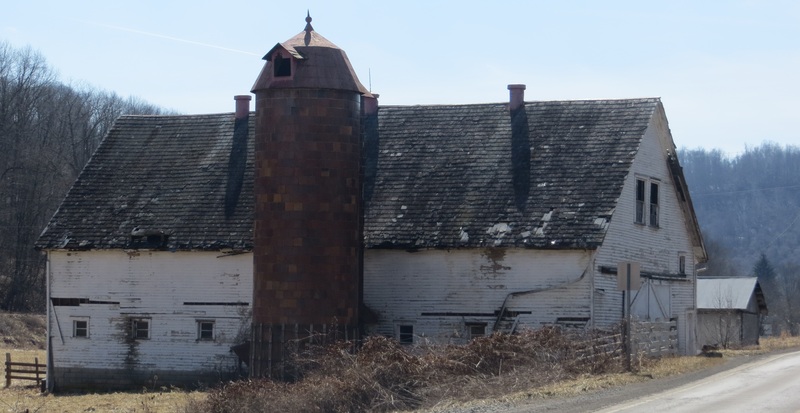 A couple of years later that barn and the pigs inside burned to the ground, but my love of barns lived on. So, the first time I decided to take a drive, I was surprised what caught my eye. 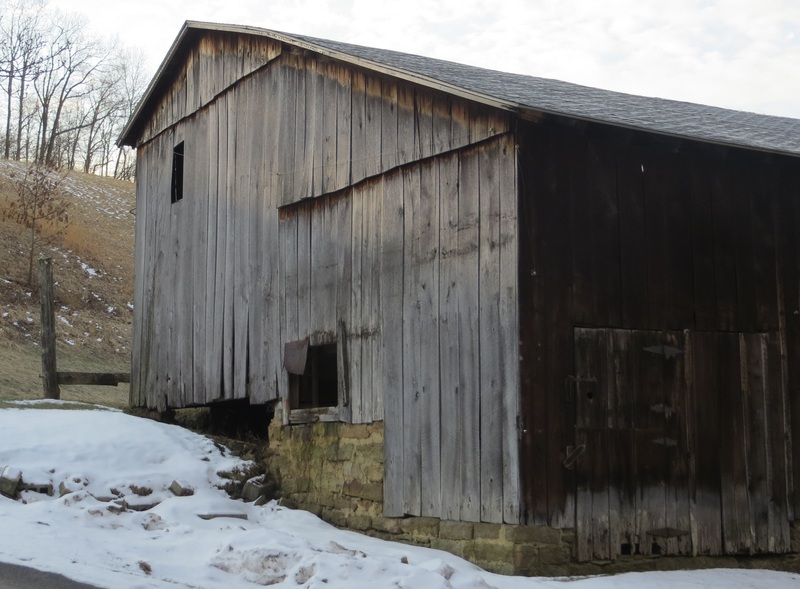 I seem to like old bridges, barns, and abandoned buildings. 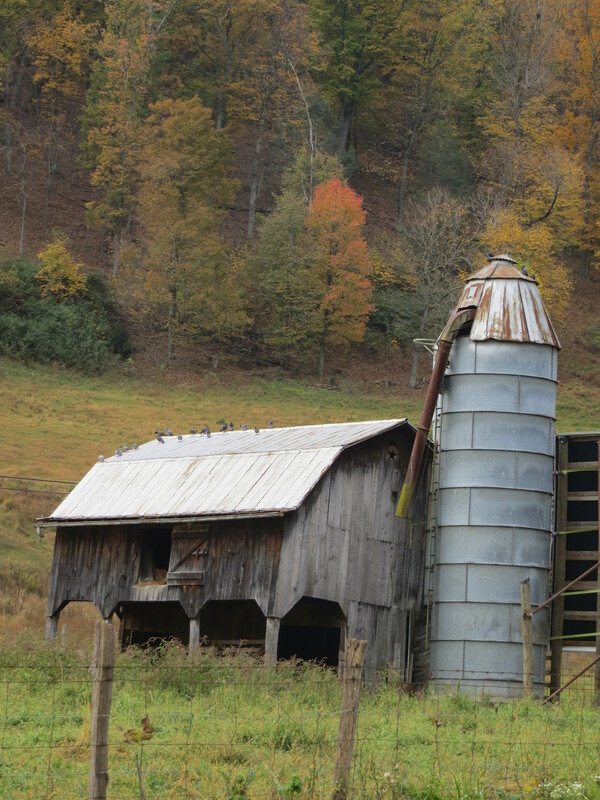 Who knew I would take back roads in hope of finding a wonderful farm to photograph. 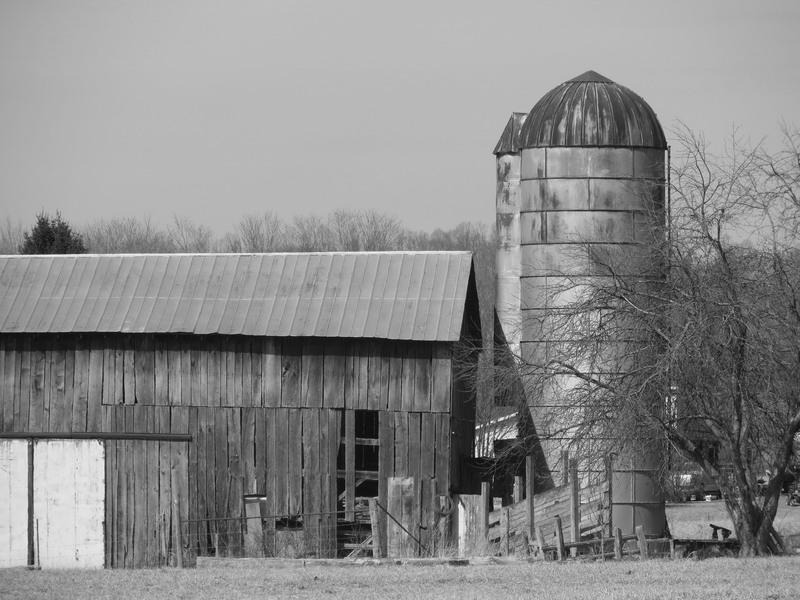 Here are just a few of the barns I have photographed in the past few weeks. 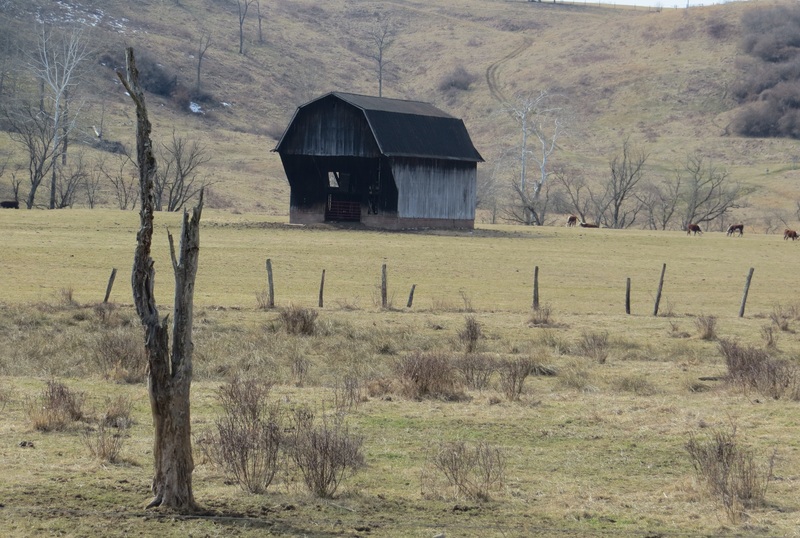 Old Route 250 on the Marion/Taylor County line. It’s a goat farm and I love driving by it. The rest are from my little jaunt yesterday. I took about ten photos of this “truck graveyard.” Of course, that’s not really what it is. Had to put the dead tree in this shot. This is the best I could do. It was on a winding road with no place to pull off. I rolled down my window, and aimed. This is what happens when we finally get a break from the snow and the sun is shining on a Saturday afternoon. 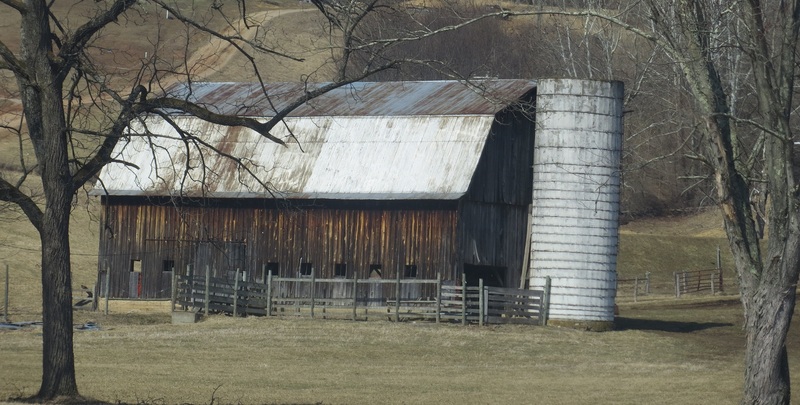 For those readers who are barn lovers, I drove from Fairmont south on I-79 and took the Lost Creek Exit. 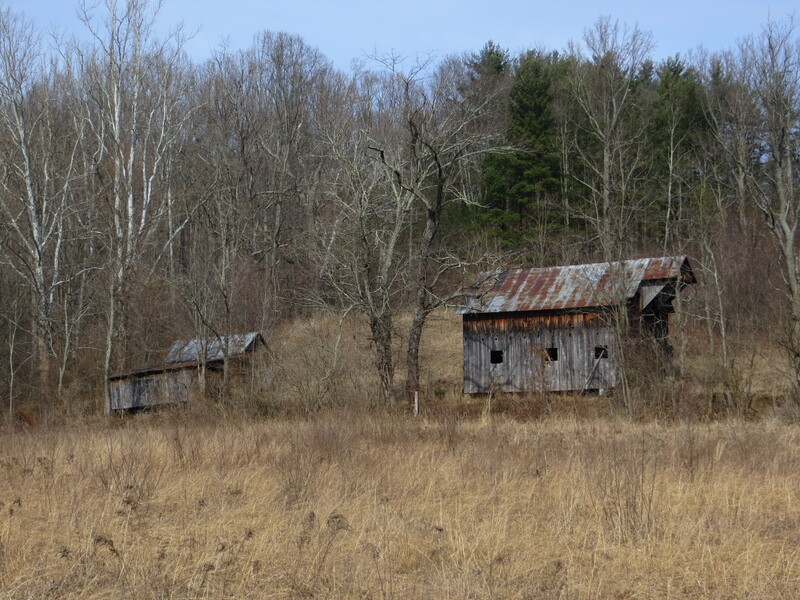 I drove on Route 270 from Lost Creek to West Milford and took Duck Creek Road (love the name) to Watters Smith State Park, which was CLOSED…bummer. 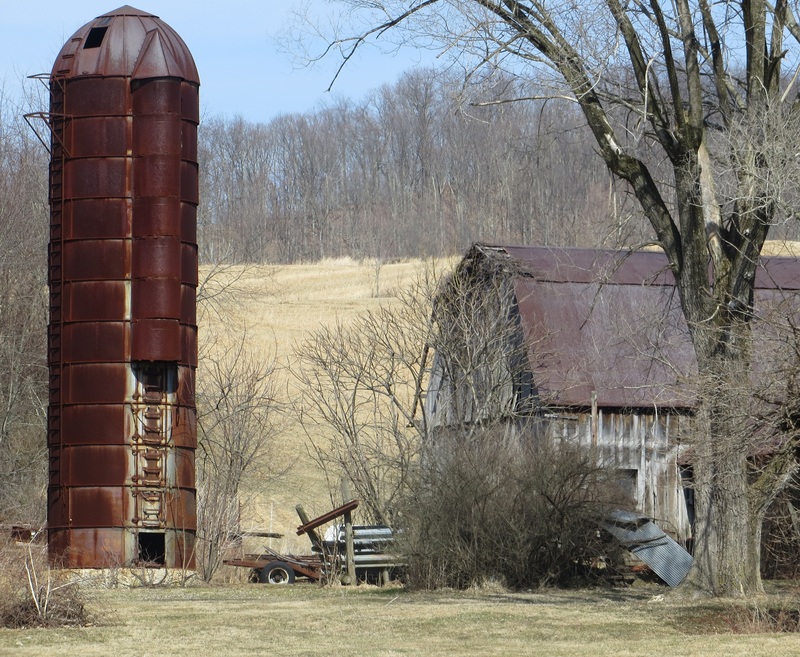 I doubled back to get some photos I missed on the way and then took I-79 to the Jane Lew Exit in Lewis County and took Route 19 to Clarksburg. I had never been on either road before, so I had fun. 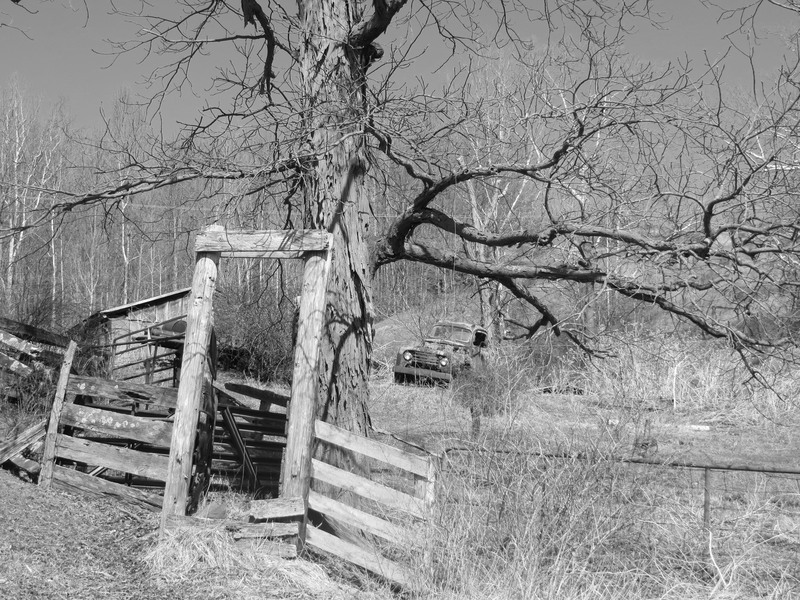 When I was young I told my grandma I had been on every road in West Virginia. She laughed at me and I got mad at her. In my defense, it seemed like I had. 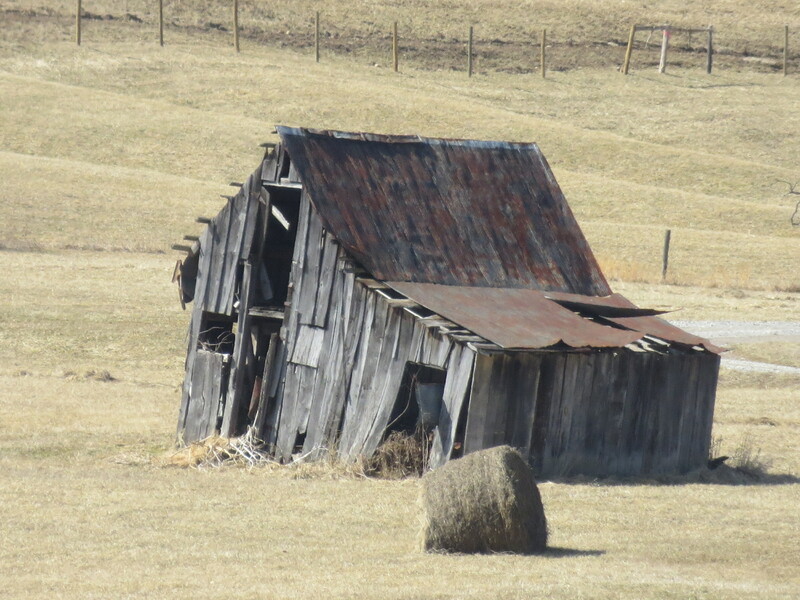 My dad couldn’t be away from his real estate business for too long (although I know now he really didn’t want to be in the car with my mom for very long), so our vacations were traveling around West Virginia. I still love traveling around this state. 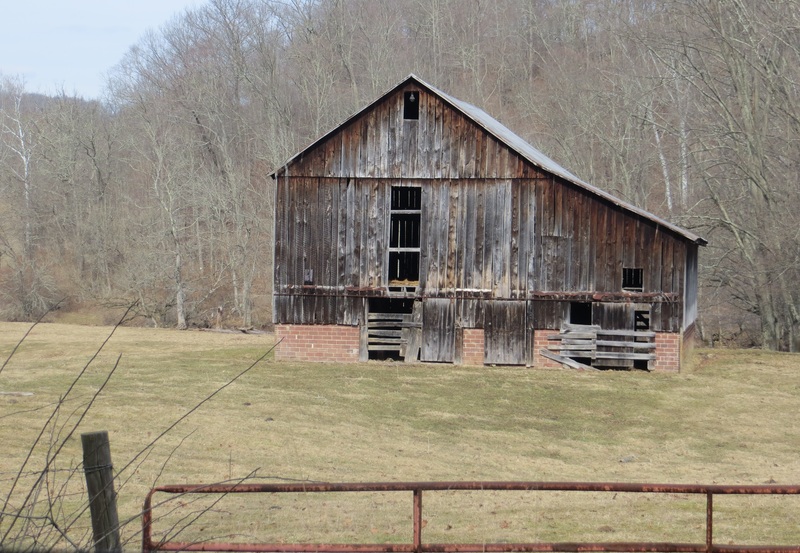 The barns are becoming old and decrepit. 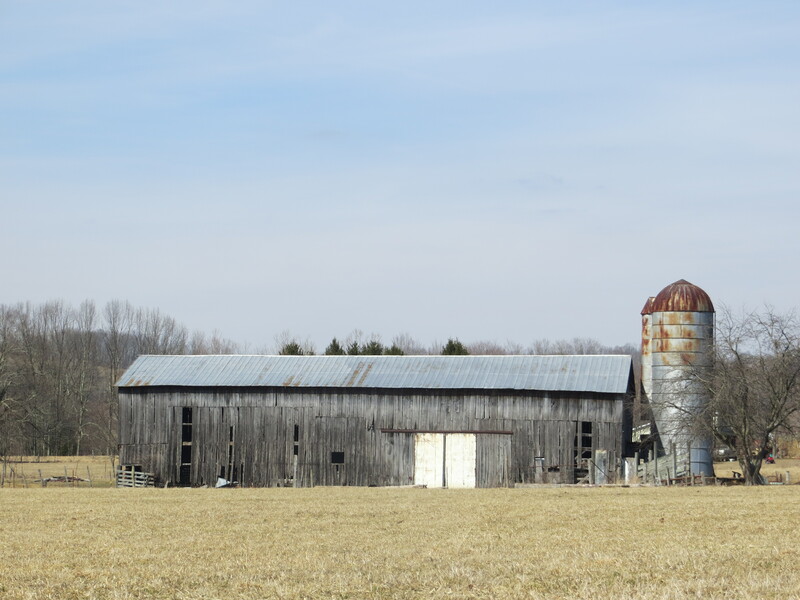 Pretty soon a new Walmart or housing development will spring up on old farmland and yet another barn will be just a memory. I hope to photograph a lot of them before time, or perhaps another derecho takes one down. Glad I found your blog and glad to know that there is another female explorer that is about my age living in this state! It was something that my dad instilled in me. Now I’m taking care of my elderly mother and she doesn’t understand. I told her something about wanting to take some pictures one time when I got back late. She said that if she had known that then she would have understood. I told her that I always had my camera and every trip was a picture taking opportunity! Every now and then she say I’m like my dad. Anita, thanks for writing. I got mine from my dad also. I just really started traveling around the state this past fall after a trip through the Canadian Rockies by myself and decided I should really see what’s in my own back yard. I teach during the week, but my camera is always with me too. Remark about ‘not wanting to be in the car very long with mom’, priceless. Even the best of ’em turn into nags! I’ll take a fast car and inspirational tunes on the victrola to ‘remediation’, deserved or otherwise, any day! I love to wander country roads, too. 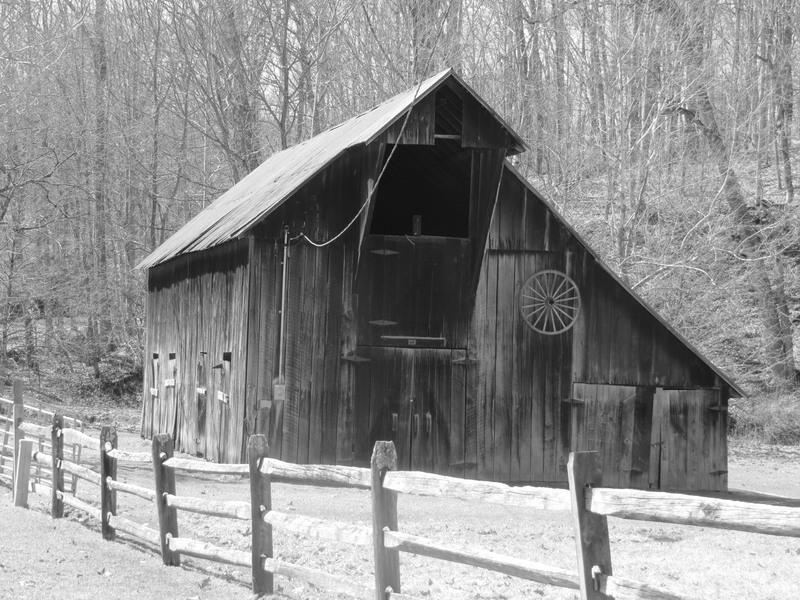 And I especially love old barns and old graveyards. Neither or my parents took photographs so there is little documentation of our family trips. I wish they had been more like your dad. Our first vacation photographs were made by me with my first camera, a Brownie Hawkeye. I was so proud of it. Another batch of nice photos. Looks like you travel a lot. I too like to travel (Ph.D. in geography.) What are the titles of your books? I like the concept of eBooks but I remember reading that Amazon charges 65 percent. 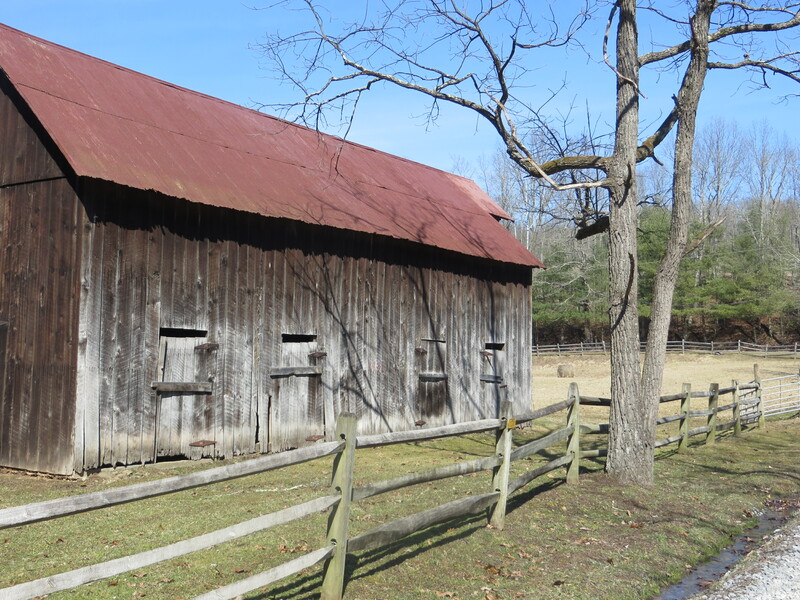 I wanted to write a book on covered bridges but someone else wrote one first. My daughter, Valerie, and I are working on a book and we are trying to decide how to publish it. Any ideas? The last time I wrote you I mentioned Wheeling, and I forgot to say that many years ago I actually received the station WWVA. I liked listening to a country music program hosted by a singer named Rosalie Allen. Sometimes she played her own songs on the air. Are you familiar with her? I like the ebook concept as it takes away the rejection of a traditional publisher or agent. I’m not a serious writer, but hope to write more when I retire in a few years. My first book is a memoir of my childhood. I get 70% of each purchase.